Each GrillGrate panel is 5.25" wide and interlocking. 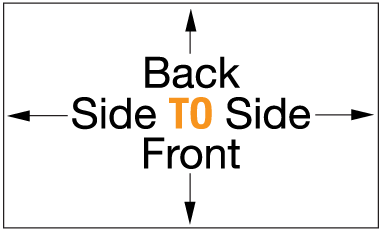 Measure your grill and choose the proper length for your application. 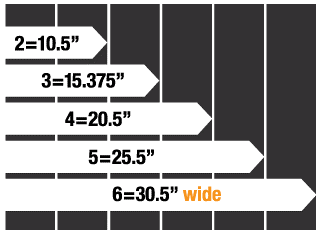 Refer to the chart below for the correct amount of panels you will need to cover your desired width. Outstanding assembly and performance solid gill to be place on top to help reduce and burning. Fantastic structure. Unlimited uses.. Should the need appear....would purchase again. Great ""American made product"" that works! The perfect addition to any grill! I already have GrillGrates for 2 of my grills. I bought an extra panel to increase the grill space on my home grill. In my opinion, the GrillGrate is the perfect addition to any grill! Because of it's ability to absorb heat and spread it evenly, there is no more worrying about hot spots and cold spots on your grill! I have sliced chicken breast in half to make them thinner, and they are able to cook in no time, with the most beautiful grill marks! Because they cook so quickly, they are able to stay very moist and tender! The deep ridges and special GrillGrate spatula make turning your food a snap! At my suggestion, two of my coworkers purchased GrillGrates as Christmas gifts for their husbands! One of them commented to me that the GrillGrate is now her husband's absolute favorite grill component! I am constantly recommending GrillGrates to people, and I wouldn't recommend them if I didn't believe in them! A+++++ product!